VeriCite DocumentationUser GuidesCanvas User Guide LTI Integration - Instructor ArticlesHow do I edit an existing comment? Click the Edit link for an existing comment. Zoom: Click the Edit link for an existing comment. The Edit option will appear when you mouse over a specific comment. Make your changes in the text entry field, and then Save. Zoom: Make your changes in the text entry field, and then Save. The updated comment will now display. Zoom: The updated comment will now display. Prev: How do I add a comment to the report? Next: How do I delete a comment? How do I grant VeriCite Admin permissions but not Canvas Account Admin permissions to a user? How do I add a VeriCite assignment? 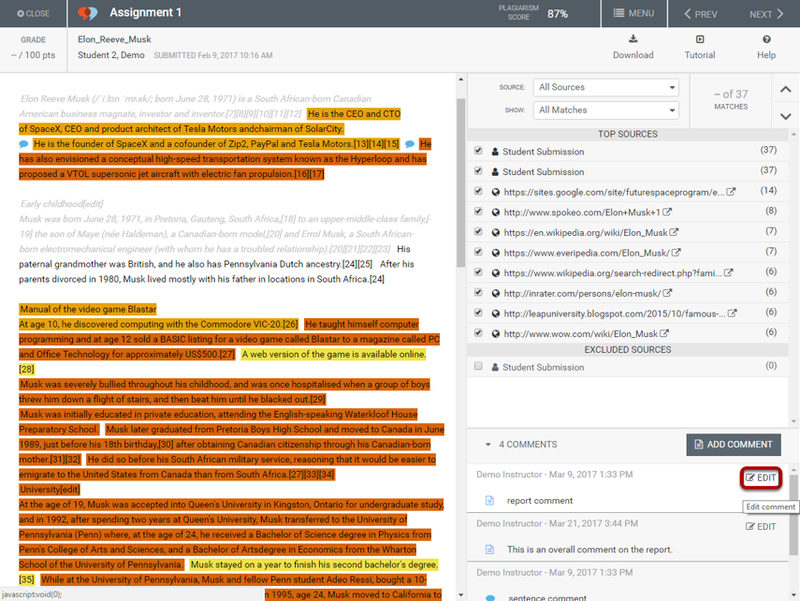 How do I view VeriCite reports for student submissions? How do I navigate a VeriCite report? How do I submit my paper to VeriCite? How do I view my VeriCite report? How do I navigate my VeriCite report as a student? 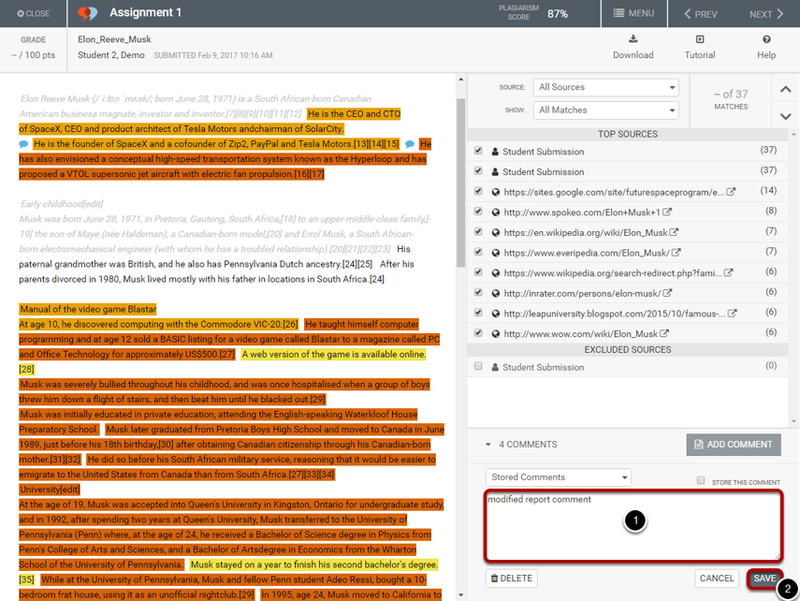 How do I view instructor comments in a VeriCite report? How do I migrate Canvas VeriCite LTI assignments to the new LTI URL? How do I enable VeriCite LTI in my Canvas course? How do I add a VeriCite LTI assignment? How do I view VeriCite LTI reports? How do I submit a VeriCite assignment as a student? How do I access my VeriCite LTI report as a student?